Some will tell you that Web is getting old, tired, boring and slow. It can no longer keep up with the better faster technology in hardware and thus is on its last legs. But superficially, it still looks pretty darn good the last time we checked, although the majority of the sites on the Internet has grown a lot more powerful as well as interactive. Unlike those awful looking text and gigantic yellow, orange and bright blue sites of the 90s, which primarily just displayed static text and blinking images, the sites of today are actually functional and can converse with you. We are now able to move around and manipulate a little stick image showing our exact location on a Google map, or instantly display and post photos which were taken from a real-world location all in real time. But if you look beyond the shiny surface of the current Web and look under it’s hood and into it’s deep dark depths, this thing that we all call “Web 2.0,” currently requires a lot of props, duct tape and glue to hold it all together. This is because displaying videos or any other multimedia element does not really work that well on a basic Web page. So in order to be able to make all of these elements come together, the website developers need a bit of assistance, which is why they may be turning their backs on HTML. HTML is the basic “Open Source” programming standard which has made the Web blossom into what it is today. Using HTML, in order to get videos to play properly or to get animation to display, websites were required to add proprietary applications and programs to their websites, programs such as “Silverlight” or “Flash,” which in turn forces the web users to download the corresponding “plug-in” to be able run these features. As a result, is made these websites complex as well as slow, which was irritating and annoying enough on a home desktop PC. But if you use a mobile device such as a smartphone, which is obviously the new platform choice of the future, it becomes totally unacceptable. This is because the screens of these mobile devices are small, and their Wi-Fi connections to the Internet are often uneven, slow and choppy. This is fueled with a brand new development for mobiles which may undercut the Web even further, the popularity of applications. Using these app programs, which are customized for specific mobile devices such as the smartphones or tablet PCs, will deliver information, games or videos directly from the Internet without the user having to go to a specific webpage URL on the Internet. Although there is talk about “open platforms” when it comes to apps, when contrasted to the app store which is controlled by Apple’s App Store or Google’s Android Market, allows any developer to be able to construct apps which are available for any mobile device that’s run on the Apple or Android operating system. But keep in mind that this openness is limited, which falls short of the founding definition of “Open Source” on the Web: which states that online information should be readily available to anyone who has access to a browser as well as access to a search engine, which practically means everyone. Before the Web went absolute mainstream to the masses, it was possible for anyone to go online, but most did so through “closed” Internet services such as CompuServe, Prodigy or America Online. Not until the Internet emerged as a popular common consumer platform, the openness spilled out by sharing the DNA of HTML. That is when the Web as we know it today turned into the planets greatest economic value. But as time passed, the Web and its status became jeopardized. But a handful of people decided to put aside their differences which led to an insurrection in which the Web was given another opportunity, say Hello to HMTL5. The main goal of HTML5 is allowing sites the ability to expand beyond just static webpages and go into programs as well. For instance, one of the new terms which is now included in the HTML dictionary is “canvas,” which allows website designers to be able to insert a moving graphic that they can use in a game or anything animation based. The HTML5 language also includes tags which are specific to audio as well video, which will dramatically streamline how any device on the the Web can handle multimedia easier. It will now allow Web developers to be able to incorporate items such as a song or a video clip, just as easily as placing text or images on a page. 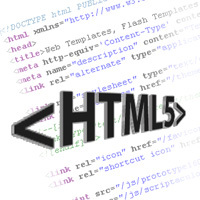 Although the Web may already be saturated with enough music or videos, HTML5 will completely simplify the process, as any multimedia element won’t require complex embedded coding or ask the user to install add-on programs such as Flash. HTML5 will ultimately make Web browsers a lot more efficient and faster, while the construction of the pages for website creators will become easier as well. HTML5 also has the potential of improving site security as it will make it more difficult for potential “hackers” to fool web users into downloading potentially malicious plug-in programs. HTML5 seems to of took all of the best elements of how the Internet works well, and then made it as a standard. For example, Gmail will currently allow you to take a file from your desktop and then you can instantly attach it to an email by simply dragging it directly into the browser window. This feature will be available in HTML5, where dragging and then dropping files, images or videos etc., will now become part of what pages will be able to do. HTML5 Not The Ultimate Answer? But HTML5 should not be expected to fix the Web anytime soon, as there are still a lot of significant issues to overcome. For example, even though the browser developers are all in complete agreement on the majority of these issues, they all still continuing however to disagree about which of the video standards for the Web should be supported. It may just take a bit of time for all of the Web developers to be able to place all of the technology towards its most significant usage; first of all, they want to make sure that there are enough users who are using Web browsers which can completely handle HTML5 in the first place. This however may not happen for a couple years yet, but eventually, there will be a lot more sites which will eventually follow Scribd’s example. They will become sharper as well as a lot more useful on desktop PCs as well as for the mobile devices. And not before long, it may not even be necessary for mobile users to download dozens upon dozens of individual apps. One program, such as an improved Web browser, should be able to deliver a smooth, seamless and satisfying experience on either desktop PCs or any smartphone. This is not saying that all of these apps will eventually fade away. In fact, they are still considered to be one of the best “next generation” user-interface improvements, this of course before these promised Web standards catch up or develop. For most companies, it still makes a lot of business sense to be able to present their content in a way that’s customized and geared towards a certain platform. This will then give their consumers access to their information a lot more quicker and easier than using a Web browser in order to build customer loyalty. This will also make the content more exclusive to a certain users device which can be a way of getting those people to potentially pay more for the material. This is the very reason why some are declaring that the Web is dead. But if you clean it up as well as move it forward, HTML5 can provide for excellent reasons to believe the Web will still remain the primary platform for all the new services, while apps will remain as a secondary feature. And this is important since the overall health of the Web is still vital for creativity as well as entrepreneurship. One problem however that some say is the cause of the mess that’s the current Web, will impose a form of tax upon site developers and creators, who often has to pay Microsoft or Adobe or anyone else for the tools which will make their multimedia based plug-ins able to work. Yet, they all still need the Web, since its ubiquity will offer unparalleled opportunities to be able to reach their audience. That is the precise reason why the current Web has flourished and has developed an innovation boom similar to the 90s. It’s also the exact reason why HMTL5 will continuously spur on new investments in Web based startups. So if you happen to operate both businesses, one that runs and operates on the Web with a website, while the other business runs as an app, the one that is Web based is always going to be bigger. Although there are lots of significant app development companies out there, they will never turn out to be the next Amazon or Google.